Masham's delightful market square with it's traditional pubs and shops as well as Black Sheep and Theakston's breweries are only a stroll from Bank Villa. 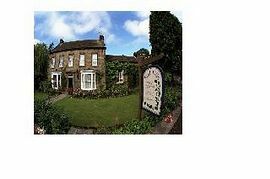 A Grade 2 listed Georgian house offering high standards of comfort and style with award winning food. Bank Villa is an ideal base from which to explore The Yorkshire Dales and Yorkshire Moors. Discover the many walks or cycle ways from the front door or take a drive around the delightful countryside. Ripon, Harrogate, York, Thirsk and Leeds are only a scenic drive away. Visit Herriot and Heartbeat Country. Go to the Races or play a round of Golf at any of the nearby courses. Fishing, Clay Shooting and Horseriding can all be booked locally. Guests going to Swinton Park for weddings and parties are offered a complementary lift. You may just want to stay put at Bank Villa and enjoy Graham and Liz's hospitality and relax in the elegant sitting rooms, conservatory or sunny garden and patio. What ever you want from a break away Bank Villa offers you the opportunity to relax, unwind and have some fun. High standards and award winning food. 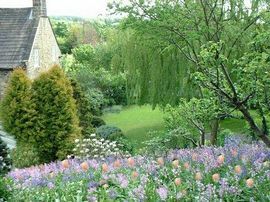 Close to Masham and all it has to offer. Easily found on the A6108 at the entrance to Masham. Busses and taxis run from Main towns in to Masham. 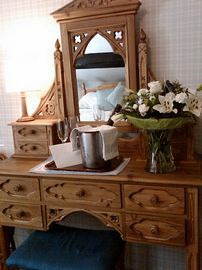 All rooms are individually designed. 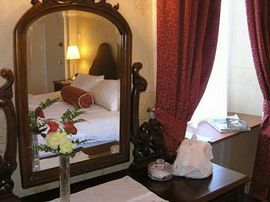 Prices range from £55 to £105 per night for two people sharing. Single prices available on request. Prices include our award winning Breakfast. Thanks for a lovely break. Breakfasts are 5 Star! Liam and Leighanne. Thank you for a lovely stay. Your house is beautiful and you are both very friendly. See you again. Marcia and Matthew. 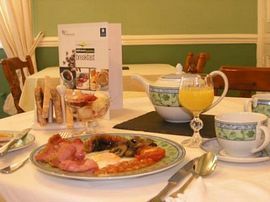 Lovely comfortable accommodation and delicious breakfasts. Dave and Rita Lovely stay in comfortable B&B. Thanks for looking after my dietary requirements and for the beautiful weather. John and Maureen. Situated in a nice area. Comfortable stay with good food. Made so welcome. Pauline and Terry So comfortable, so friendly. Many thanks. George and Valerie. Thanks for the lovely gluten free breakfast. Linsey and Stephen. Thoroughly enjoyable stay. Excellent food and Bonn Homie! Thanks you both. Dave and Julie Wonderful, friendly hosts. Lovely welcoming B&B. All in all a great time was had. Jayne and Steven. I found peace here. I'll be back. Bobby. No wonder you are recommended as the best in the area. Becky, Paul and Hannah. Magical New Years Eve. Wonderful hosts, super food. What more could you ask for! Brilliant! Pat and Malc. Absolutely brilliant! Wonderful accommodation. Fantastic food, It set us up well for the wedding day. Douglas the Groom, ushers and best man!